Everybody keeps a strong password to protect Google accounts from hackers, but despite this many times, the account gets hacked. The Google Account is not limited to email only, it is also used for other Google services such as Google Play, Google Play Music, Google Play Movie etc. This may have happened many times that you have logged into your account on any other device and your password was saved by mistake on that device. In most places, you will be asked for a Google Account, in such a situation, you will have the question that your Google Account is not misused. Google has added two-step verification to prevent account misuse. Let's tell you how you can activate your 'Two-Step Authentication' and make your account secure. Activate such a Two-Step Authentication1) First, click on Google's Two-Step Verification page.2) Then you have to click on the Get Started option appearing on the right. 3) After clicking on getting Started, you will be asked for an email ID and password.4) After entering the email ID, the device will show in which your account is active.5) Below you will see the option of Try It Now.6) After clicking on Trai Now, a message from Google will appear in your Notification panel of the same device.7) Select Yes option from Yes / No in the message shown in the message.8) After this, you will be asked for the mobile number.9) Under Mobile Number, you will see text message and the phone call two options. You will receive the code on whatever option you choose.10) After entering the code, click Turn On. 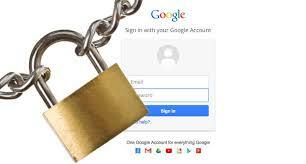 After following the above steps, whenever you sign in to your Google Account, the password will be received in your phone in addition to the password. Your account will be opened only after clicking on the notification. Recall that yesterday we told our readers the way to keep the Facebook account secure.